The Force will be with the MSO this December as we present Star Wars: The Empire Strikes Back in Concert under the baton of conductor, Nicholas Buc. John Williams’ legendary score paired with one of the most critically-acclaimed films of all time will make this screen and sound extravaganza one not to forget! After the destruction of the Death Star, the Empire has regrouped – with Darth Vader leading the hunt for Luke Skywalker. 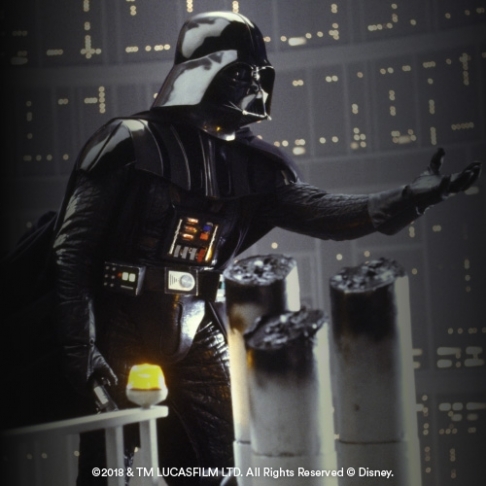 Enjoy the most memorable moments from the film, including Darth Vader’s instantly recognisable theme, The Imperial March in full symphonic surround sound. Learn more about John Williams’ legendary score from three film experts, Dr Dan Golding, Andrew Pogson and Conductor, Nicholas Buc, from The Art of the Score podcast as they discuss the film score that changed the trajectory of film music forever. Star Wars — Film Concert Series is produced under license by Disney Concerts in association with 20th Century Fox and Warner/Chappell Music. STAR WARS and related properties are trademarks and/or copyrights, in the United States and other countries, of Lucasfilm Ltd. and/or its affiliates. © & TM Lucasfilm Ltd. ©2018 & TM LUCASFILM LTD. ALL RIGHTS RESERVED ©Disney.